The beautiful Gulf of Mexico with its sugar white sandy beaches, sea gulls, pelicans and dolphins is only steps away from your doorstep at this 2 bedroom / 2 bath condo in Lagoona Beach, West end of Panama City Beach! The condo is fully equipped and ready for your vacation enjoyment. The large master bedroom has a small deck for enjoying morning coffee, and large closet for stowing those suitcases. Upstairs in the loft is the second bedroom with it's own full bath and lots of extra storage room for all your beach clothes. The living room has furniture containing a sleeper sofa, 47” flat screen TV with DVD player for those quiet evenings after a long day at the beach. Or just sit on the front balcony swing and watch the Gulf change colors as the day wanes. Parking is free right in front of your condo. 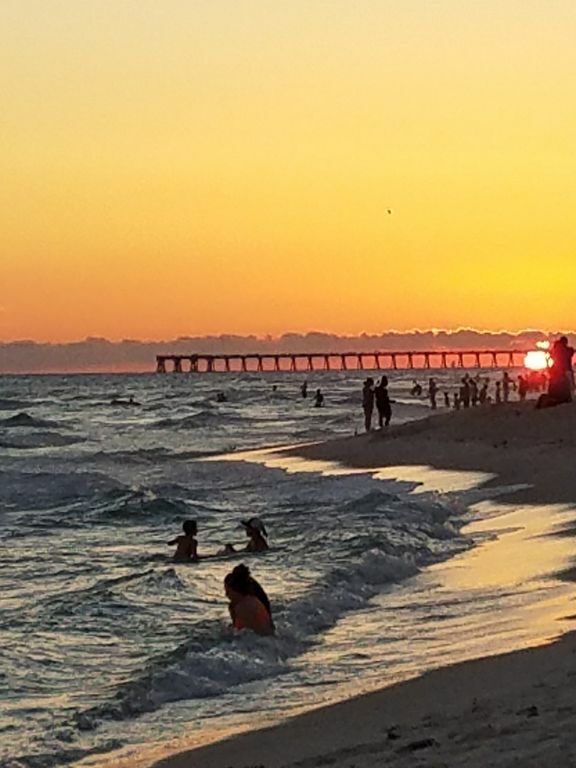 Southwind Resort is located at the quiet west end of Panama City Beach, less traffic, people and noise and where the beach is quieter, too, but you can hear the waves from the balcony! Located directly on Front Beach Road there is easy access to local eateries, Pier Park with it's great shopping, theater, the city pier and lots of choices for a night out in the town! There's even a trolley that runs up and down the strip so you won't need a car. Southwind also offers a swimming pool for lazy days in the sun, tennis courts for those looking for some exercise and shuffleboard for those wanting a friendly game with friends. Relax on the swing and watch the beach from your front porch. Watch sunsets from your patio. You can watch sunsets from your patio. Has sofa-sleeper and love seat. Regular toaster and toaster oven. Cups, plates etc. Also blender, coffee maker. A few table games available. A few beach toys available. Small balcony accessible from master bedroom. Patio has small table, patio chairs and a swing. Rates are subject to change until reservation is confirmed. Contract and security deposit must be received prior to door codes and information being given out.